Transforming bathrooms is what we do best. Revamping cramped, outdated spaces into private retreats, where you can decompress and relax without interruption, is our team’s point of pride. We excel at bathroom design and layout, utilizing every inch of space for sensible function. Only using those building materials that have a proven track record of exceptional quality, we ensure complete and total satisfaction for years to come. From moving plumbing and fixtures to installing windows and vanities, we customize your bathroom to your exact specifications. By focusing on your needs, we work to make the transition as seamless and hassle-free as possible, taking on the project with an attention to detail that surpasses our competition at every turn. From the moment your dedicated crew enters your home, until the room is ready for use, Tri-Star owner Gary Isham is personally involved in your project, ensuring our standards are never compromised and corners are never cut. Stop settling for a family bathroom that no longer suits your needs. You can have a great bathroom you can be proud of, for less than you think and quicker than you’d imagine. 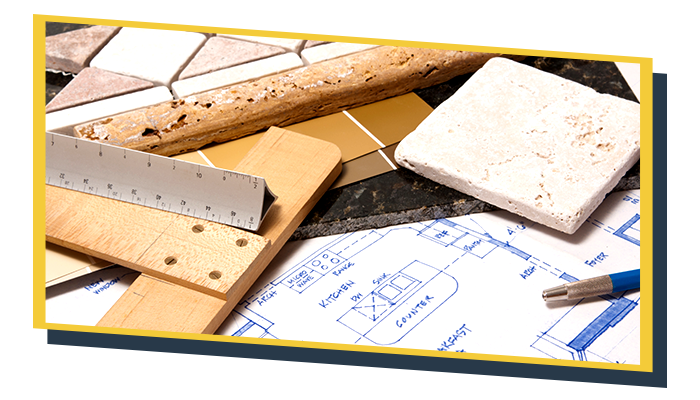 Schedule your free project estimate now by contacting the Tri-Star team.